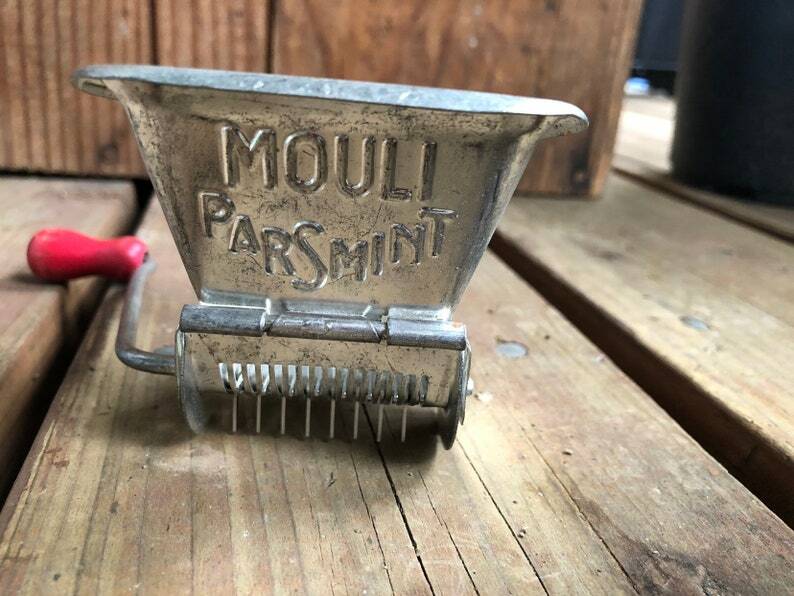 Nice Vintage Mouli Parsmint Metal Hand Held Herb Grinder Grater, with red wood handle. Made in France. Stamped Patent Pending. nice old, useable Kitchen tool!